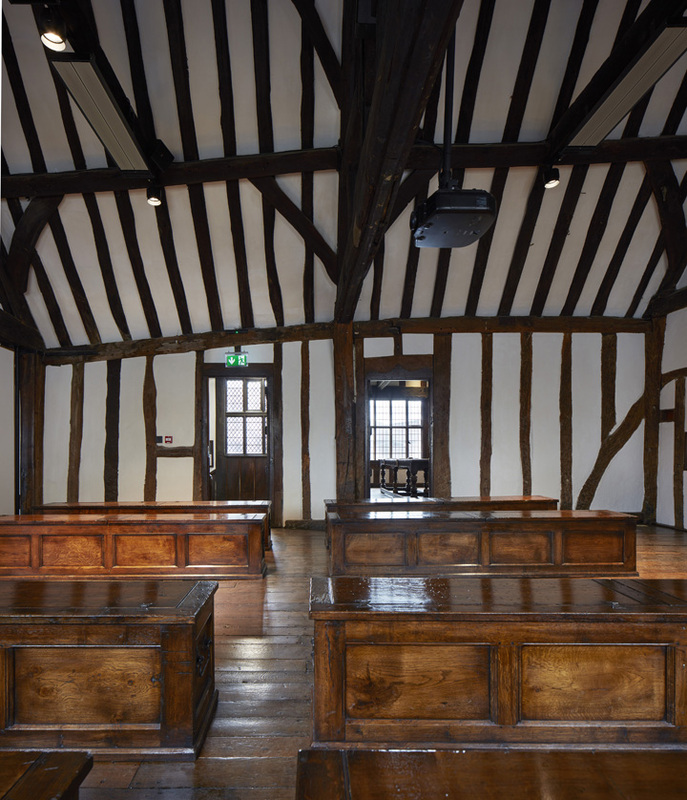 The opening of Shakespeare’s Schoolroom and Guildhall, as a new world-class heritage attraction, provides the missing chapter of the story of William Shakespeare’s life in Stratford – his education and his inspiration to act and write. Those coffin-like units that are arranged axially towards the teacher are re-creations of the original “forms” that pupils would sit on. The word form is now used for a class. Classroom with teacher’s desk and wooden chests. 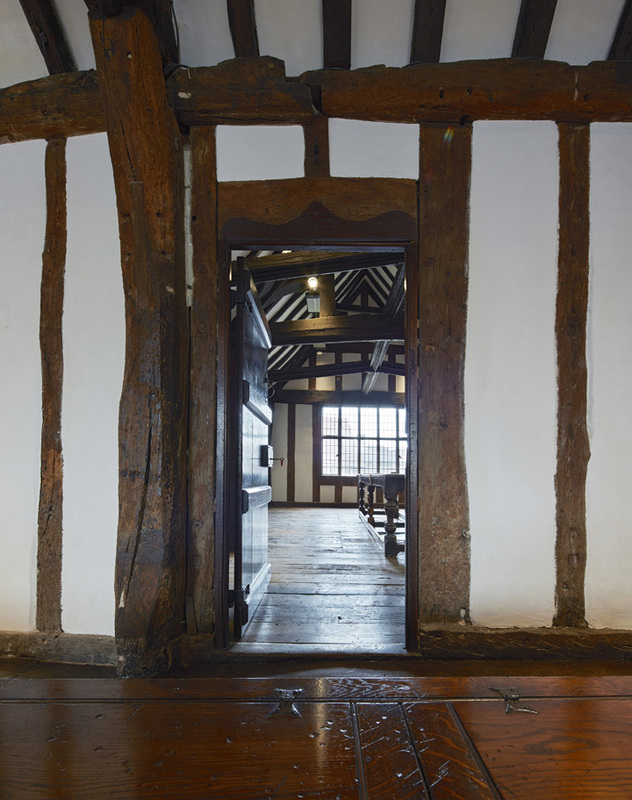 Shakespeare’s Schoolroom, Stratford-upon-Avon, United Kingdom. Architect: Wright & Wright Architects LLP, 2016. 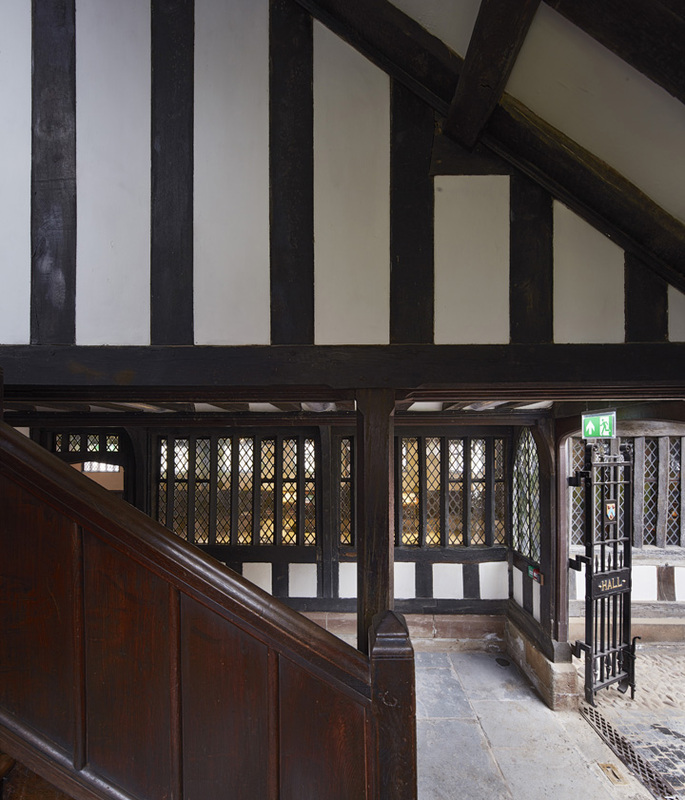 View from stairway to ground floor courtyard. Shakespeare’s Schoolroom, Stratford-upon-Avon, United Kingdom. Architect: Wright & Wright Architects LLP, 2016. View towards classroom. Shakespeare’s Schoolroom, Stratford-upon-Avon, United Kingdom. Architect: Wright & Wright Architects LLP, 2016. Classroom with wooden chests. 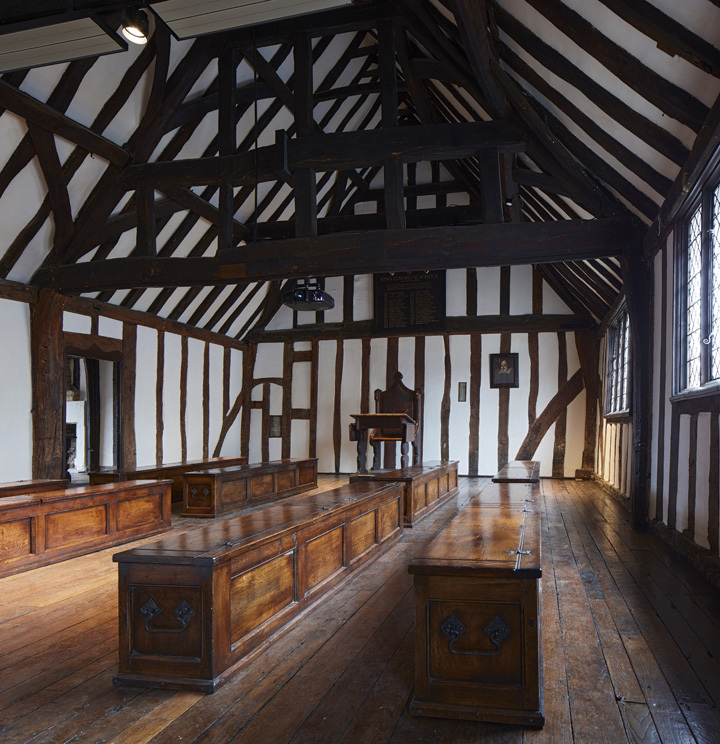 Shakespeare’s Schoolroom, Stratford-upon-Avon, United Kingdom. Architect: Wright & Wright Architects LLP, 2016.